In this book international experts discuss the state-of-the-art in the biological degradation of hydrocarbons to meet remedial or disposal goals. The work focuses on practical applications, often on globally important scales including the remediation of some of the world's largest crude oil spills. 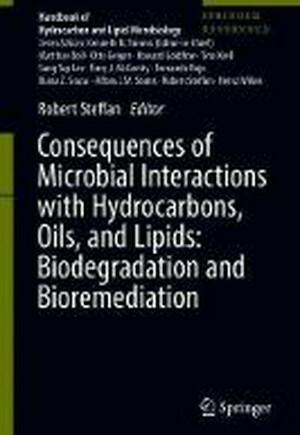 Other related chapters discuss important implications of microbial transformation of hydrocarbons, including treatment of high fat processing wastes, impacts of microbial biodegradation activity on industrial processes, and the implications of microbial oil degradation in relation to modern oil extraction processes like hydraulic fracturing of shales and extraction of oil sands. BIODEGRADATION AND BIOREMEDIATIONIntroduction Natural Attenation of Hydrocarbon Compounds in Groundwater Weathered Hydrocarbon Biotransformation: Implications for Bioremediation, Analysis, and Risk Assessment Cometabolic Bioremediation Role of Biosurfactants Biostimulation Strategies for Enhanced Bioremediation of Marine Oil Spills Including Chronic PollutionBioaugmentation of Hydrocarbons (expand to emphasize oil biodeg in marine systems) Plant-Microbe PartnershipsRemoval of Hydrocarbons and Other Related Chemicals via the Rhizosphere of PlantsIn Situ: Groundwater BioremediationRemediation of Petrol and Diesel in Subsurface from Petrol Station Leaks Bioremediation of Marine Oil Spills Anaerobic degradation of fat The Industrial Consequences of Microbial Deterioration of Metal-Working Fluid Anaerobic Biodegradation of Hydrocarbons, metagenomics and metabolomicsUtility of industrial experimental sites for developing analytical, monitoring and remediation technologiesMicrobiology of Shale oil and Oil SandsMicrobiology responses to the Deepwater Horizon Oil Spill in the Gulf of MexicoWhat was done to mitigate pollution after the Torrey Canyon, Exxon-Valdez, Prestige and Deepwater Horizon spills, etc., and with what success?